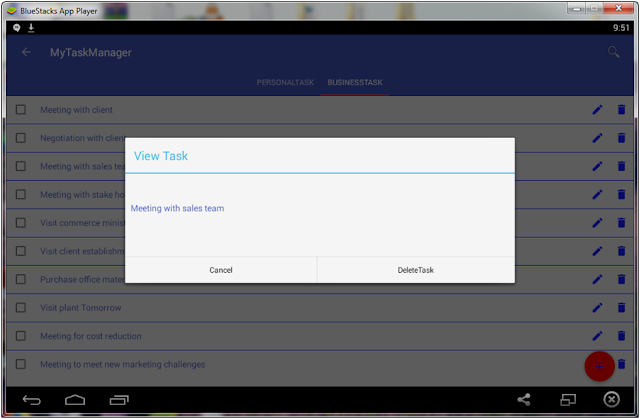 Create,Retrieve,Update and Delete row in Recyclerview in TabLayout with search option in Toolbar of Android App. 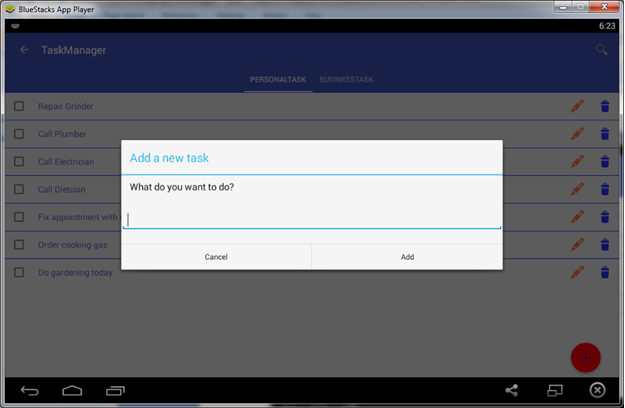 This is a simple TaskManager android application. There is a TabLayout with two tabs. Each tab contains a recyclerview in viewpager .User can add new task. Delete and Update existing task. 3.ViewPagerAdapter.javaàAdapter class For the ViewPager in Tabs. Other three files are inside a folder named TabFragments which is inside the above package. 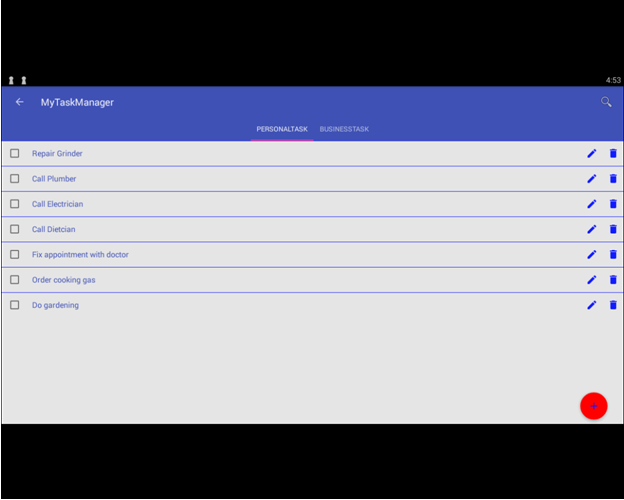 The application has six layout files. 1.activity-main.xmlàLayout file of MainActivity class. 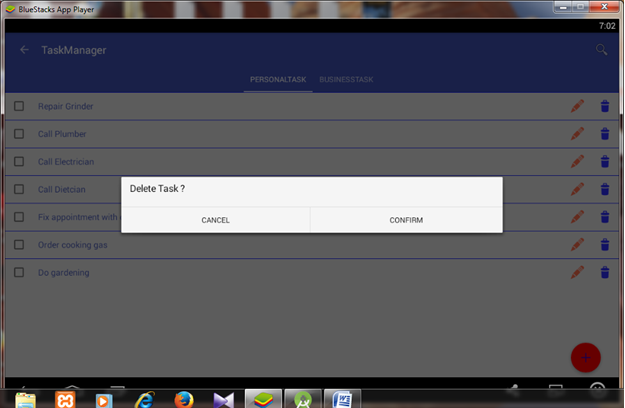 4.input_box.xmlàLayout file of Dialog to edit task. 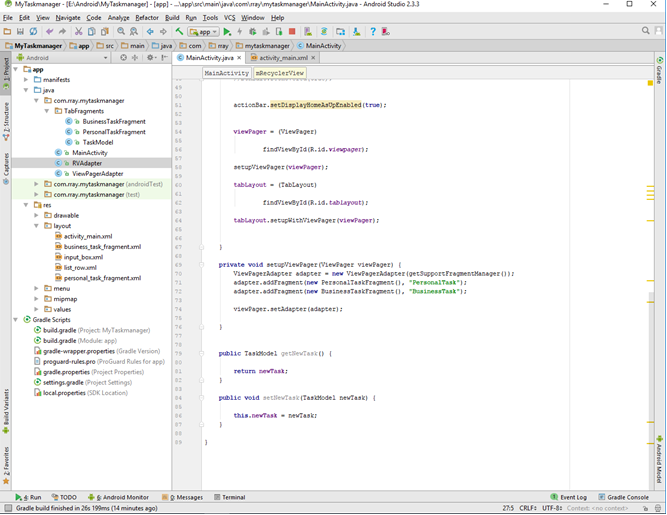 Below code in grade file is important as it adds material design components to the application . Floating Action Button at right Button is used to add new Task. When user taps a record, it is displayed in a dialog box with delete option. If there is any problem with this tutorial,Please comment about it.So that it can be fixed soon.